Q1: Your book ‘Gwadar on the Global Chessboard’ outlined the economic and strategic potential this port has for Pakistan. For those who have not read your book, could you elaborate on this strategic port? •To project Gwadar’s great potential – a major economic alternative, to begging for funds. •Gwadar Concept is not limited to the Mekran Coast. It is in fact an Economy Changer for all of Pakistan. A Bonanza for Baluchistan. •China the world’s second biggest economy needs to be fully linked to Gwadar. •Pakistan needs an economic and cultural bonding with multi-regions. This includes China, Central Asian States, Russia, West Asia- Iran, Saudi Arabia – Gulf States, Turkey and Africa. •Gwadar though vital has been neglected – victim of negative politics and hostile Geopolitics. •Baluchistan’s problems (Exploited by India and foreign powers) demand attention and resolution. •The Geo-Political indicators favour Gwadar Development. •The Global Chessboard is dynamic and evolving. Global economic balance is shifting. Pakistan should initiate a pro-active Geo-economic policy. 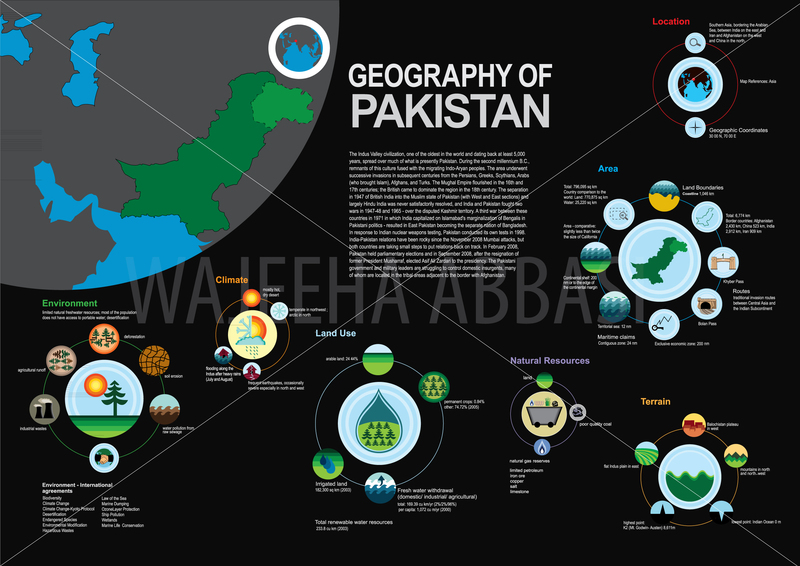 •Optimize Pakistan’s Multiregional Geography for Geo-economics gains. Pakistan’s economic bonding with China, Central Asian States – Russia, West Asia – Iran, Turkey, Saudi Arabia, Gulf States and Africa. •Gwadar Port is concept based. The concept is to synergize Pakistan’s multiregional (Geo-Strategic) location, Open Sea Board for Oil – Gas Pipelines, Energy Centre, Transshipment, Transit, Trade, and Finance Generation. •Gwadar is the Future of Pakistan. Q2: Is there a link between unrest in Balochistan, the Iran-Pakistan gas pipeline and the Gwadar Port? A2: There is a clear Geopolitical link between unrest in Balochistan, the Iran Pakistan gas pipeline and the Gwadar Port. The fact is that there is no need for confrontation. Pakistan seeks peace and prosperity of which Gwadar is one manifestation. If the Chinese and Americans can do business in Dubai, USA and China, then why not at Gwadar? A global consortium can be proposed by Pakistan, addressing US concerns and Chinese requirements. As my book ‘Gwadar on the Global Chessboard’ highlights that Gwadar is not a zero sum game. Gwadar can connect South Africa to China, Russia through the shortest routes and can bring peace and prosperity to dozens of nations. All can benefit from this gift of nature. Q3: We have seen Property prices in Kabul drop as a result of the expectations that chaos will follow the withdrawal of American forced from Afghanistan in 2014. How do you think the withdrawal will affect Pakistan? A3: The fall of property prices in Kabul may be an indicator of future events. In fact Afghanistan needs peace like the rest of the world. Consider the fact that the last three decades have seen only war. First the Soviets then the Muhahideen, later Taliban and now Americans/NATO. The Americans are withdrawing but plan to leave behind between 10,000 and 30,000 troops. (Mostly Special Operation Forces). The war will continue, at some level. The Afghanistan War will not end till all foreign military forces withdraw and the majority Pakhtoons (including Taliban) are part of the solution. This implies a negotiated settlement, which leads to durable peace. This is possible but only if Pakistan is the peace maker and sponsor. The US withdrawal from Afghanistan and peace prospects are ideal for Pakistan. A tiny fraction of the elite has prospered from the Afghan War. The rest of Pakistan has suffered enormously from the war next door. Over 40,000 causalities estimated 80 billion dollars in losses suffered, National fiber weakened and Pakistan destabilized. US Drone strikes act as a catalyst for extremism and radicalism. Therefore, in essence US military withdrawal followed by peace should be very welcome in Pakistan and the region. A new leaf should be turned. US Geo strategy should be replaced by Geo-economics. Landlocked Afghanistan should be linked to Pakistan’s – Gwadar. The Americans are welcome as investors – businessman (they are even welcome in Vietnam where they fought a long war). Pakistan and America were friends before the US War in Afghanistan. They should remain friends after America leaves Afghanistan. Q4: A lot of mention is made of Pakistan’s weaknesses, the enormous strains pulling the country apart. My impression of Karachi when I visited in 2011 was that of a city under siege, perhaps a symbol of the country as a whole. Can you tell us about Pakistan’s strengths? A4: Pakistan’s strength is the most pertinent question, but often neglected. Thank you for asking it. Its location is super. The location is globally pivotal. If North of it Is the famed Mackinder’s Heartland, itself a part of Spykman’s Rimland. It is located on the Cross Road of Empires. It joins Central Asia, West Asia, South Asia and Indian Ocean. Geo economically it is a ‘Bridge State’ between multi regions, Geo strategically, it is the ‘Interposing State’. West of it is oil rich Gulf, North West energy rich Caspian Sea/Caucasus. River waters, glaciers in the north, Arabian Sea – Indian Ocean in the South. For a medium sized state, it has all kind of terrain, deserts plains, coast, hilly, snow mountain regions and all four weathers. Its natural treasures abound (though mostly untapped or utilized so far). Reko Dik Gold Reserve in Baluchistan estimated over $ 1 trillion. Thar Coal Reserves in Sindh have energy estimated equal to Saudi Arabia – Iran oil energy output combined. A lot else to follow. Only Kashmir and its river waters occupied by India is the problem. By 2015 Pakistan’s population will be 200 million of which 65 % or 130 million will be youth. This energetic – nationalist youth bulge is Pakistan’s future and strength. Pakistan’s national character includes ‘faith in Islam’, ‘love for Pakistan’, ‘courage and spirit of freedom’. Pakistan’s Military is strong, professional and motivated to defend Pakistan. Its nuclear strength is robust and sophisticated. This is to ensure deterrence as Pakistan believes in peaceful resolutions of all disputes. Pakistan cannot be conquered by anyone. Q5: What advice would you give the young future leaders of Pakistan? •Firstly, unite all Pakistanis on one nationalist platform and achieve consensus for national interests. •Secondly, a reformist agenda to rid Pakistan of major ills. Build Gwadar and revive a national economic cycle. •Thirdly, a pro people welfare system for ensuring decent basic living to the nation. •Fourthly, stressing on all forms of education for human resource development of the youth bulge. •Last yet not least, ensuring national sovereignty and security at all costs. Brigadier Nadir Mir author of ‘Gwadar on the Global Chessboard’ is a veteran of the Pakistan Army. Nuclear Discourse (A Nuclear Discussion at Two Tiers – South Asia and Global) is being revised and updated. Mr Mir has touched on an important geopolitical goldmine here, but one that will take decades to realise. I would like to know the Brigadiers perspective on the Indian built Chabahar Port in Iran, some say it has a greater future for the region? Excellent interview….No wonder Pakistan army is a top tier army when they have officers like Brig Mir. Hope you and Sveta are doing fine. I am sending you an interview by D.S. Hurrell Dallas College South Africa. I would request that this interview be published on Windows to Russia and is followed by an interview with you as you know President Putin is visiting Pakistan in October. I further request that if you can send this material also to Russian Embassy in Pakistan, so we can forge even better friendship.